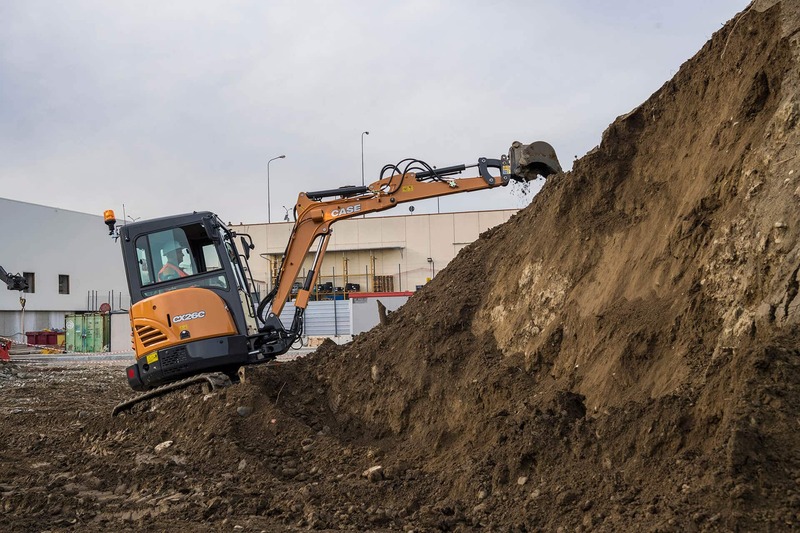 The 5,520 lb., Tier 4 Final CX26C provides excellent breakout force in a lightweight, zero tailswing excavator that achieves dig depths of nearly 8 feet. This compact, transport-friendly power makes this mini ideal for landscapers, utility companies and contractors working in developed neighborhoods or trying to minimize yard damage. 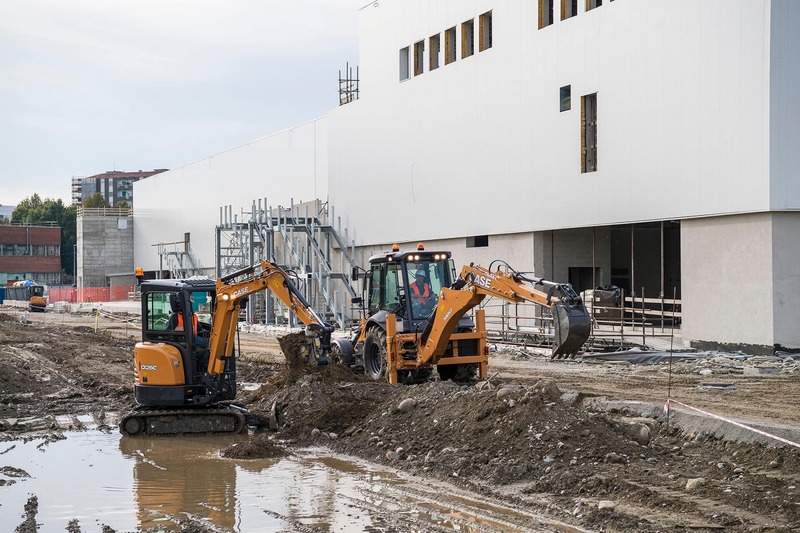 With standard push blade, auxiliary hydraulics and proportional controls, as well as an available heated cab, the CX26C is a multi-use platform for a wide variety of applications and environments. Thanks to its compact design, the 2.6-metric ton CX26C can be towed by a conventional pickup truck without the need for a CDL*, making it an easy addition to any fleet. And with the zero tailswing design, the rear counterweight doesn't extend past the tracks, reducing the risk of damage to the machine, environment or workers. 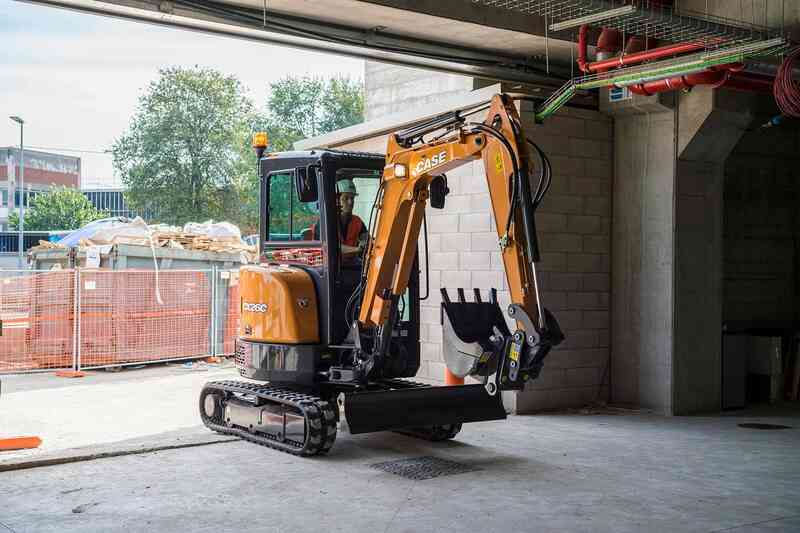 Combined with an adjustable boom that can be offset to either side, this allows for operation alongside walls or obstacles. 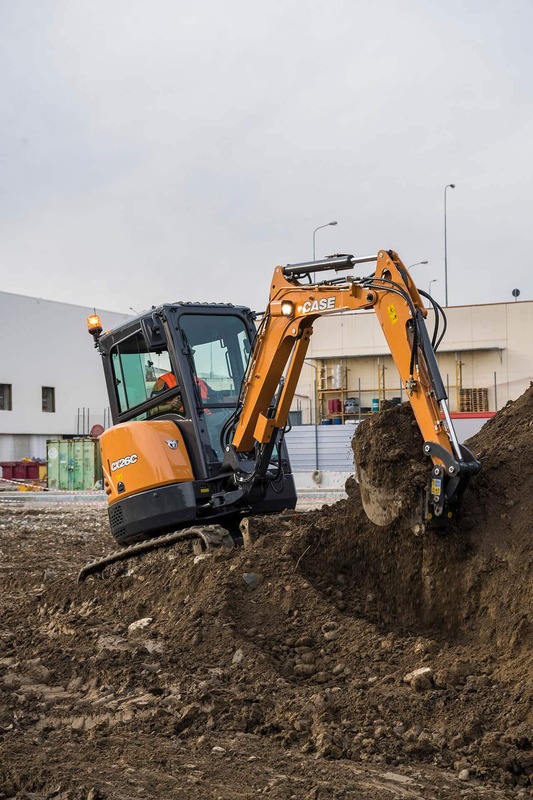 Several standard features boost performance, including auxiliary hydraulics for greater attachment utility, Automatic 2-Speed Travel for smoother shifting, and a push blade for backfilling and improved digging stability. An additional counterweight, long-arm configuration and thumb bracket are also available. 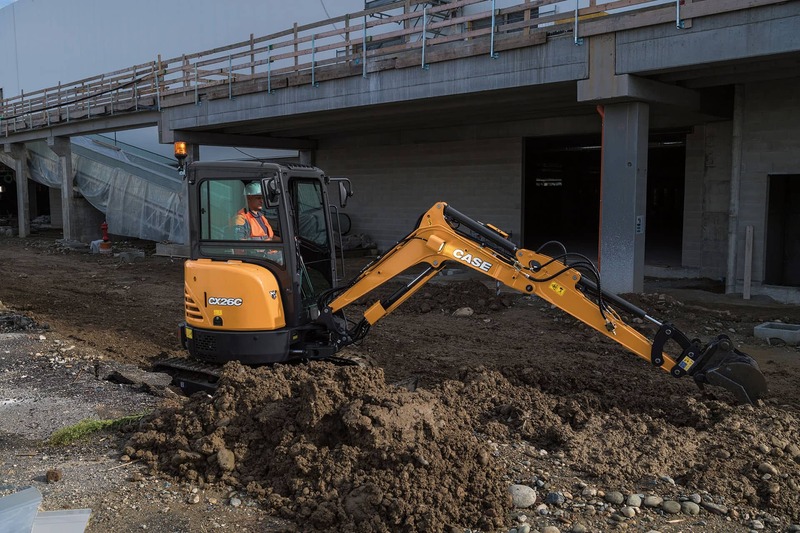 The CX26C features a fuel-efficient, naturally aspirated 25-hp engine, providing excellent power and performance with minimal fuel use while meeting Tier 4 Final regulations without any operator inconvenience. The standard four-post ROPS/FOPS canopy provides a spacious operator environment with excellent visibility all around the machine and features ergonomic joysticks with fingertip controls and an adjustable seat. The enclosed cab option is designed with floor-to-ceiling windows to maintain sightlines and features heat, radio and a USB port for improved operator comfort throughout the workday. Maintenance can be done in a matter of minutes thanks to the CX26C's ground-level serviceability. Two locking access panels provide quick, adjacent access to site gauges, fill ports, grease points, filters and main service components.